Find out what you're really made of. Jack Canfield tells the amazing story of the ten-and-a half-foot-tall Golden Buddha in Bangkok. He saw it while sightseeing there several years ago and was so moved that he wanted to learn its history. In 1957, monks were transporting a giant clay Buddha to a new temple to make way for a new highway coming through. During the move, while a crane was lifting it, the statue began to crack. So the monks had it lowered to the ground and covered to protect it from rain. Later that night, while checking on it, the head monk saw something gleaming from inside of the tiny cracks. Several hours later, after using a hammer and chisel, the monk discovered the solid gold giant Buddha that had been hidden beneath the clay. Historians believe it was covered with clay several hundred years earlier to protect it when their country was attacked. This is what self-awareness means to me – knowing what you are made of deep down inside. It’s an ongoing process of learning what you’re all about. It’s discovering why you do the things you do, why you think the way you do, and why you feel the way you do. It’s basically seeing yourself as you truly are. And it’s the starting point of every change you want to make. How do you get self-awareness? The same way you get happy – by doing. 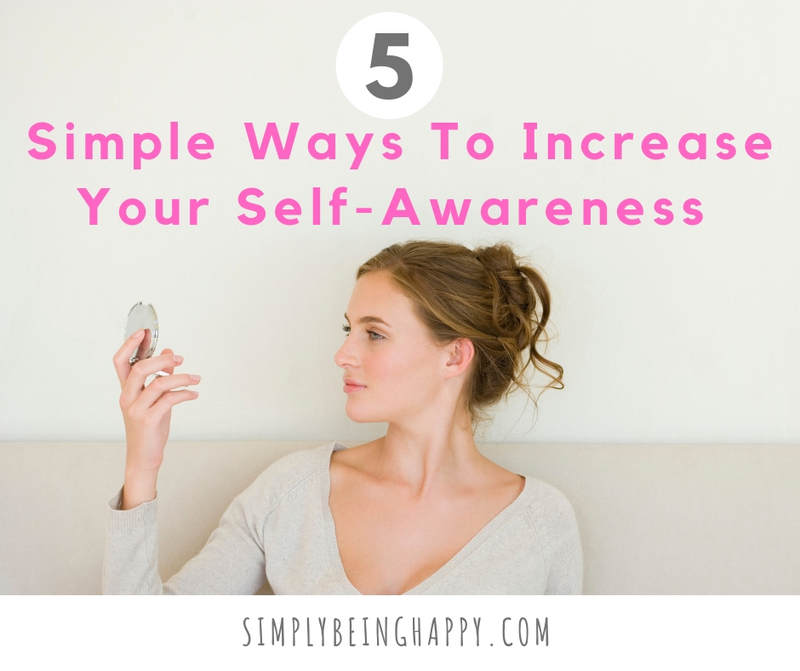 You could read ten books on self-awareness and learn everything that any expert or doctor has written on it – and you’re still not going to become self-aware. Just like you could read happiness books all day long, but unless you actually get busy and start working on your happiness, things won’t change much. 1. Make meditation a habit. Meditation brings awareness. It’s amazing how clarity, ideas, and solutions come after meditating. 2. Ask yourself questions during quiet times. Ask all kinds of questions – and see what answers come to you. For example: Why was I so bothered by that today? Why do I have these fears and worries? What is it that makes me angry about this? What do I really want? Keep asking and asking. Make it a lifelong habit. Answers will come – I promise. They might not be immediate, but they will come. 3. Journal. Keeping a journal is a good practice for gaining self-knowledge. Getting thoughts out of your head and onto paper lets you see them so much clearer than keeping them swirling around with all the other thoughts in your head. 4. Don’t be afraid to think back into your past to remember and uncover the truth hidden behind why you think, feel and act in certain ways. You can remember times and events from when you were younger with a fresh set of eyes now. 5. Get good at knowing your feelings. Feelings have gotten a bad rap through the years. We’ve been told that having negative feelings is bad. We’ve learned as young kids to hide our feelings. But they are so important. They are always communicating something to you – good or bad. That’s why you don’t want to ignore them. You want to understand them and find out what they mean. Want the FREE 370 page E-book of my book, Simply Being Happy? Get it here. I'm the author of the book, Simply Being Happy - 93 Ways to Replace Worry with Peace and Create a Joyful Life. I'm also the creator of the website: simplybeinghappy.com. And I'm the creator of the website: kidsaresuperheroes.com - where kids learn inner strength.